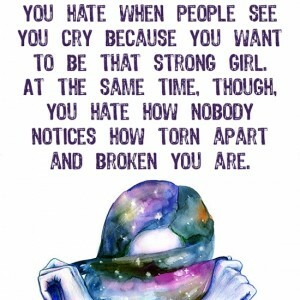 It's okay to cry over someone, even if it's a boy. This specific boy is my best friend. I will never say "was". I love him too much to let go, even though he might soon, I never will. I don't care if it'll hurt me, losing him hurts enough. Don't tell me to move on, I don't listen to rules well, and I will never let go. I promise. I promise you i'll never let go. You'll always be loved by me. I promise. Please don't let this be the last day. it was because of you. But i'll never forgive myself if you actually leave. It's 10:55am, same day and i still have the tear stains from 8 to 10 hours ago. They're being covered and more are joining right now..
but so much has happened. We were able to trust each other. I trusted you with everything i said. I trusted you to tell me anything and everything. How could i not know better? i wish our last conversation wasn't that! God, don't let that be the last time we conversate!!!! I DON'T WANT TO REPLACE YOU. "You're an amazing girl (name), don't let any d*ck tell you otherwise, ok?" "i know better than to listen to them"
Do you know how hard it is to type all of these without being able to see the keyboard clearly? Thank you for being my best friend, you'll always be my best friend. Please don't let that time be the last time we conversate. Study or don't, i'm going to sleep. Guess we're ending discussion here. That took a turn and i dont think i wanna say the rest until it's situated..
i rather f*ck on, excuse me and no??? excuse me "good morning my beautiful girlfriend❤️"
as we are speaking the song "mrs Potato head" by melanie martinez just came on. Coincidence???? i'm sorry, from now on, i'll try to see from your perspective about your opinions, good? you didnt get the cringey texts?? ?